Many people find themselves unwilling to adopt “senior” dogs because they fear that the time spent with their new best friend will be closer to reaching its painful end. This is true in most cases, but what most people do not recognize are all the reasons why adopting older dogs is so important for the dog and the owner. Jill, a professional dog trainer who has been with Eleventh Hour Rescue since 2004, has been one to look past age as a factor in determining what dog fit her and her husband best. Three years ago, there were 11 dogs that were rescued from a hoarding/neglect situation in Georgia. An e-mail was sent to Eleventh Hour Rescue asking them if it would be okay to take in Daisy, a 7-8 year old dog who they considered to be the “least adoptable” due to her age. Of course, this didn’t prevent Eleventh Hour Rescue from taking in the “senior of the group.” Jill offered to foster one of the dogs, but was asked by her foster coordinator to take in Daisy. The night she picked up Daisy, she found her extremely shaken up by the process of her transport. Although she had that initial disposition, Daisy leaned into Jill and her husband Mark for affection. It was interesting that this was Daisy’s reaction after hearing what she had previously been through. She had surgery for inverted eye lashes from scratching, food aggression, and was filthy with an awful stench. On top of those issues, her puppies were aborted due to emaciation. Jill and Mark knew that they had a lot of work coming their way. They started with an immediate scrub down, followed by a good meal and this comfort made her feel right at home. The temperament of Daisy was unbelievable and unexpected after her previous harsh and very poor living conditions. She amazed Jill and Mark with her wonderful spirit and love for pretty much all things besides of course, cats and squirrels. When Jill asked her husband what he wanted for his 50th birthday, he said he wanted Daisy because he was in awe of her disposition. From that day on, the least adoptable dog turned out to be the love of the household. Jill always asks herself why she never adopted a senior dog after her experience living with Daisy. The senior dogs at Eleventh Hour Rescue need homes just as badly as younger dogs. They make for instant companions and are not necessarily the “problem dogs” as many tend to think. The act of adopting may even save their life and help them know that they are loved. If you would could picture yourself with one of our “seniors,” please check out www.ehrdogs.org for more information on adopting or fostering. In 2005 I wanted to adopt a dog after Hurricane Katrina, as I used to live in New Orleans and wanted to help somehow. 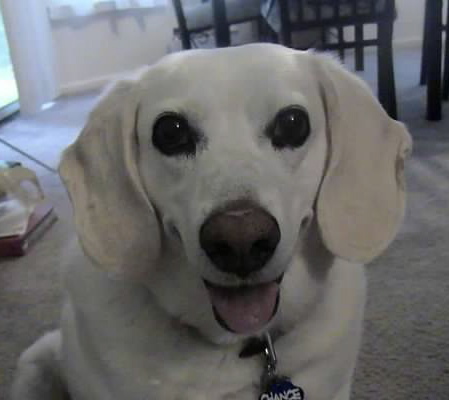 I looked on Petfinder.com and somehow came across Ralph the Beagle’s ad… he was reportedly fighting the “battle of the bulge” and it said, “If you too are watching your carbs…trying to go for walks more… could be that you and Ralph are a good match”. I was trying the Atkins diet, and my doctor had advised that I walk more, maybe even get a dog to walk around with. Although he wasn’t a “Katrina dog” and lived two hours away, his ad made me feel that he was my match! I went to Linda’s house, where the rescue dogs were in her living and dining rooms when I finally got to meet Ralph. I was approved, and went up a second time to pick him up. I felt he was my “second chance” to be a dog mom. So up I trekked to Linda’s to meet him, and brought him home. He had heartworm and was treated, but was doing fine. I wanted to get him to the vet that day after all I had been through with Ralph, so we went to our appointment and then left to check out his new home. The vet said it was ok to give the heartworm preventative, but evidently it wasn’t and around midnight, Chance had labored breathing. I was so scared that I had another friend come to get us to take him to the ER. It ended up the extra medication caused an embolism, where the worms clogged his lungs making him unable to breathe. They weren’t really sure if that was the cause, but it was their best diagnosis. He had to spend four days in an oxygen box, and I was devastated. He almost didn’t make it, but when he was cleared after four days, EHR took him back to heal. I felt terrible that the vet I took him to did this, but the team was very kind and cared for him while I got myself together a bit after both traumatic experiences. I just wanted to be sure he was healthy, and I wanted to seek out a new vet. 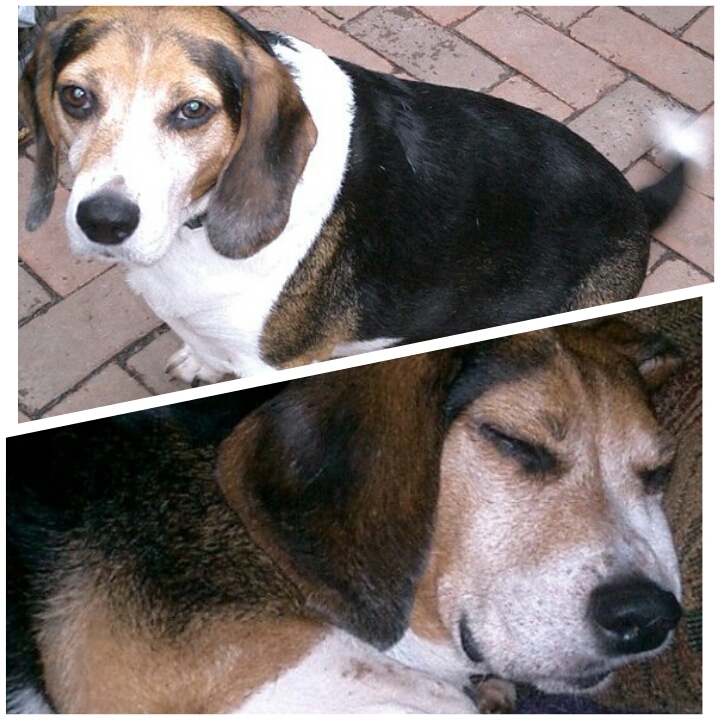 On January 20, 2006, Chance came back to live with me. We had six and half wonderful years together full of car rides, the beach, eating, walks, playing, sleeping, eating, sleeping, eating, eating, eating… he really was no trouble, listened, and was a very happy dog. In 2012, we found he had anemia caused by a spleen hemangiosarcoma. After all the medical attention he had been through by the age of twelve, I didn’t see the sense in torturing him with surgery, especially since it likely had spread by the time we realized what was going on. All I could do was just pray for mercy and peace. I managed his declining health until it was clear he needed to go to Rainbow Bridge to be with Ralph. The vet came to my home on July 2nd and he peacefully passed on his favorite spot, the sofa. I wasn’t sure how long I would wait before getting a new dog. Chance had big paws to fill. I lost my best friend; the house was so different without him there. I did not know what kind of dog I would get, but I was not in a hurry and figured Chance would help guide me. I looked at dogs online, but didn’t feel much for any of them even as cute as most were. About one or two of them I tried to adopt fell through because they didn’t come up from the south or they were taken quickly. Then there was Preston. He seemed cute, almost similar to Chance. I knew he could not replace Chance, but also knew I needed to take my dog for walks and have a happy face around again. I’d like to think Preston has some of Chance in him, as he was born shortly after Chance died. Preston did not come up for a few weeks. I wasn’t sure if it was going to happen or not and did not want to get my hopes up too fast, until I finally got the call that he was on his way. I went to see him on October 18th at the Mt. Olive Pet Smart, again two hours from where I now live at the Jersey Shore. I went up to the crate, where he was with two of his four siblings. As the other two slept, he came right over to me. I asked, are you Preston? And when I saw his collar, I laughed knowing he was my dog. We played in a room, and went through the updated adoption process, which was very different from being in Linda’s kitchen. All three experiences were great as far as the adoption process itself; the volunteers were friendly and helpful. You can tell they are invested in what they do, and care about the adopters as well as all of the animals. The worst part for me was the long drive, but it was worth it to be able to have these three special boys in my life. I often wish I could attend all the special events, but it is too difficult with the commute. 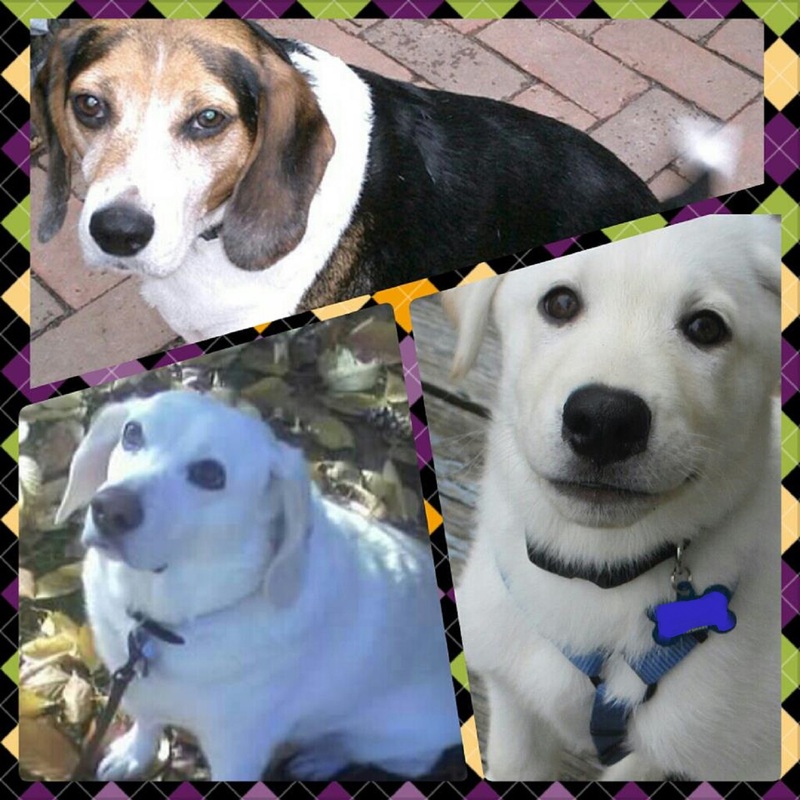 All three dogs adapted very well. There were never any issues as far as them being destructive or aggressive. Chance had several friends and a girlfriend, and was no trouble anywhere I took him. My family and friends never minded looking after him when I had to travel because he was so easy going. 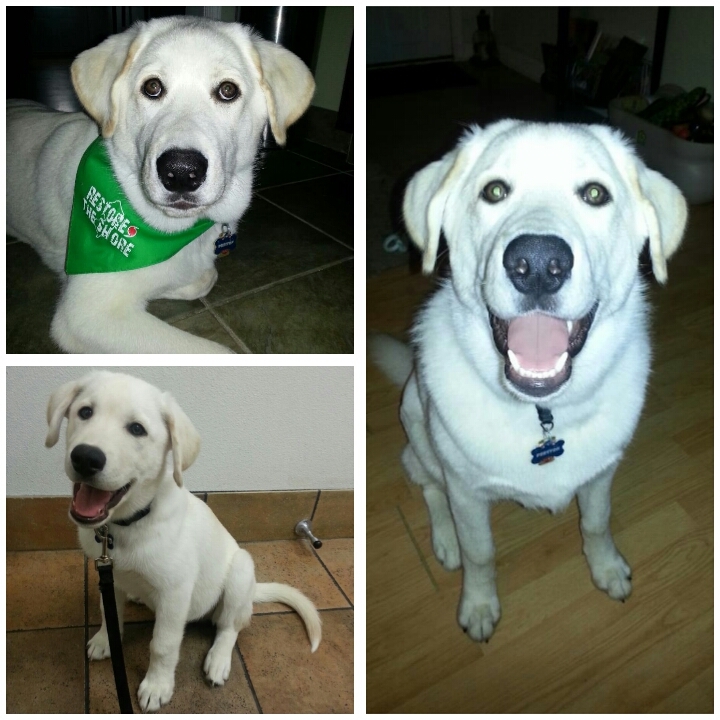 Preston has grown from 18 lbs to 80 lbs and is a ball of energy, but has come a long way and keeps on learning. He loves to be outdoors to play and walk or just lounge in the yard, and he has fun chasing a red laser light around the back yard. He even made it through Hurricane Sandy like a trooper. I think he would love a big snowstorm, and some more big-dog friends that he could roll around and play with more often. We have worked on training classes, and plan to take more. He is a rock star at my Pet Smart – They all know his name, even though they don’t know mine! They say we rescue the dogs, but really the dogs rescue us. Even though they are not here with us long enough, I cannot imagine my life without any of these special babies. In June of 2012, Karen found her soulmate, Casey, a 9 year-old golden retriever at Eleventh Hour Rescue. Casey was abandoned by his previous owner and placed into foster care in search of his forever home. Over the next seven beautiful months spent together, Karen and Casey formed an unforgettable companionship. Tragically, Casey suffered a brain aneurism on January 22, 2013, and died within minutes. Karen had trouble coping with the harsh reality of Casey’s death. Several months passed, and Karen began to think about adopting again. 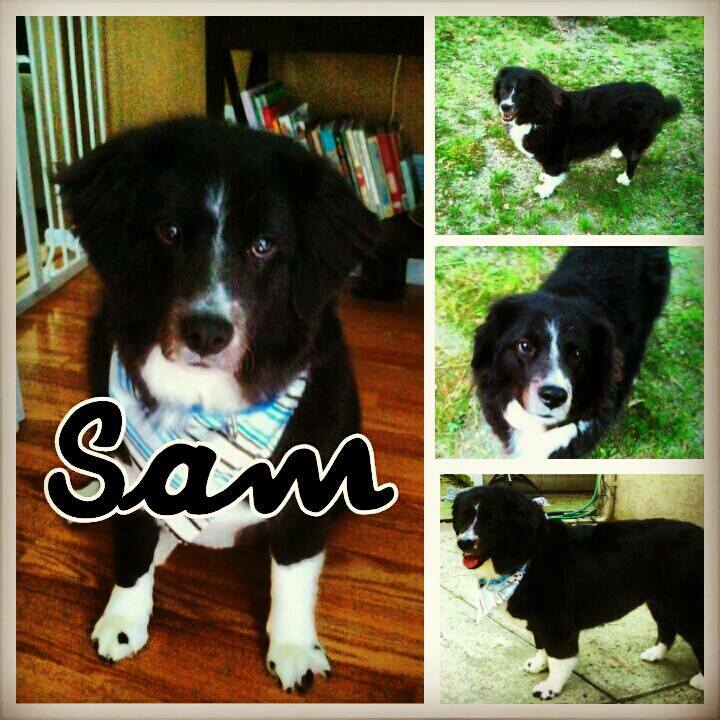 She checked the Eleventh Hour Rescue website and one of the dogs that she was interested in was Sam. When she read the biography and found out he had a history of seizures she knew that he was meant to be with her. Karen attended the adoption event and when she saw Sam for the first time, she immediately knew that she was taking him home. She is very grateful for the happiness that Eleventh Hour Rescue brings to the animals they save as well as the people that adopt them. Through the adoption process, Karen has the Eleventh Hour Rescue volunteers to thank especially, Mary Jo Conley for fostering Casey and providing guidance through her search for a loving companion.